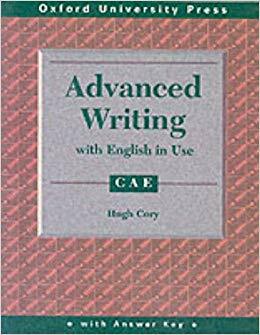 This student's book is part of a comprehensive writing course for the Cambridge Certificate in Advanced English exam, which also prepares students for the English in Use paper. Exercises give controlled practice in writing skills as well as providing models for the exam writing tasks. The key areas of writing at this level, such as register and cohesion, are explored in depth. There is a key, and the course can be used in class or for self-study.